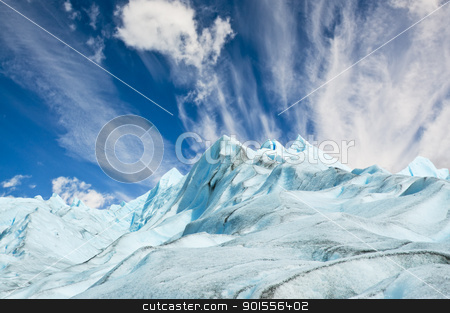 Patagonian landscape with glacier and mountains. Photo of Climbers walk up on glacier in Patagonia. Climbers walk up on Moreno glacier in Patagonia, Argentina.